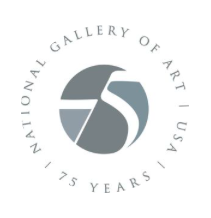 The National Gallery of Art has an online free resource catalog that contains numerous resources for individuals and institutions to borrow. The catalog provides brief descriptions of the teaching packets, guides and DVDs available. The National Gallery of Arts Pinterest page contains themed, lessons, workshops, and project ideas. Visit HERE to create an account to borrow free teaching packets, guides, and DVDs not available online. They offer a wide selection of programs on well-known artists such as Edward Hopper, Pablo Picasso, and Alexander Calder. Each program highlights an aspect of art history which can be appreciated by a wide variety of audiences. If you have any questions contact Lily Abt, 202.842.6269 or email Lily atL-Abt@NGA.gov. Sydney Chaffee, the 2017 National Teacher of the Year, went to the capital city of Addis Ababa, Ethiopia last year and provided workshops on theater education, interdisciplinary learning, and student-centered learning. Students, teachers, and members of the general public came to the workshops. She keeps a personal blog and shared her experiences. Instead of being the “expert” she spent time listening and began to consider ways to collaborate. In 2016 I traveled to Malawi with Lindsay Pinchbeck, founder and director of Sweet Tree Arts Center and Sweetland School in Hope, Me. We provided a 13 workshop for teachers in arts integration. You can read about our experience at the Go! Malawi site. Go! Malawi is a program that one of my former students established. Their mission is to collaborate with rural Malawian communities to develop sustainable programs in education, health care, commerce, and conservation. If you’re interested in traveling to Malawi in the future please email me at argy.nestor@maine.gov to learn more. Both of these are just two examples of traveling – learning and teaching. This summer consider taking time to research ideas on ways to learn other than in a classroom. There are plenty of opportunities just waiting for you! Bring a team from your school to the Center for Innovation in Education Summer Institute at Thomas College, June 27-29. Great opportunity to collaborate on planning for your students! Docudrama, song writing, invasive European green crabs, and an all hands-on deck problem solving challenge—what a combination! Only at the Center for Innovation in Education’s Summer Institute: Weaving a Tapestry of Learning this June will you get to explore the connections among these activities and create powerful metaphors for learning related to the role the Arts play in STEAM curriculum and instruction. PreK-12 participants are encouraged to come in teams to work on projects specific to your school. Grants are available to defray registration costs for up to 5 people on a team. Format: Nationally known speakers, concurrent sessions by outstanding Maine educators, and team time with a coach to work on individual projects. Are you ready to take your classroom into the 21st Century? Are you in awe of your colleagues who are more facile with technology than you are? Would you like to explore how Google Drive can help you organize your classroom? Would you like to learn how to best use tech tools and social media? This course is a great way to get your recertification credits in ONE class for 4.5 CEUs – all online! SIGN UP TODAY and take your understanding of technology to the next level! Barb Vinal (Packeles) taught music in Maine for many years before moving to North Carolina where she continues teaching and learning as the Instructional Technology Facilitator and Magnet School Coordinator for the Wake County Public School System in Raleigh, NC. She has been an educator for 30 years and holds a Masters in Technology Education from Lesley University, a Bachelors in Music Education from the University of Massachusetts at Lowell and holds a certificate in online instruction through the Carolina Online Teacher program (COLT) through LearnNC, a program of the UNC School of Education. Barb serves on the Maine Arts Leadership Initiative Leadership Team. She was a member of the Maine Department of Education Learning Results Review Committee in 2007, developing the Maine state standards in Visual and Performing Arts. Earn 4.5 CEUs and learn how to engage students in learning through the arts! This course is approved for Gifted Talented endorsement, as well. SIGN UP TODAY! This course will take an in-depth look at the significant role the arts can play in learning. Participants will see examples of student learning through visual art, dance, music and drama; learn about the critical evidence of improved academic achievement by students who are regularly exposed to the arts; and participate in practical, hands-on arts integration lessons which can be used immediately in the classroom. Helpful resources, including books, videos, websites, wikis and lesson plans will be shared. Collaborative work between arts teachers and classroom teachers are encouraged. Catherine Ring is Executive Director of the New England Institute for Teacher Education and teaches graduate level courses to educators across the state of Maine. She serves on the Leadership Team with the Maine Arts Leadership Initiative since 2010. Catherine has presented at the Maine Principals’ Association Conference as well as nationally at the National Art Education Conventions. Catherine has taught visual arts for 20 years, is a former K-8 Principal and is has her Assistant Superintendent certification. Catherine completed her Education Leadership studies at the University of Vermont and received her Master of Arts from Vermont College of Norwich University. For her thesis, entitled “Education and the Arts, Toward Creative Intelligences,” she researched the role of the arts in learning and has worked closely with classroom teachers, helping them to integrate the arts into their regular curricula. She assists school districts throughout Maine with differentiated instruction, arts integration, and gifted and talented programs. Catherine is the 2014 Maine Art Education Association Advocate of the Year. Catherine teachers visual arts one-day per week at Isle au Haut School. This is the second in a series of stories about my recent trip to Malawi in Africa. You can read the first post by CLICKING HERE. The teachers at the ceremony with their cyanotype banner. As part of the Go! Malawi program I traveled to the Ntchisi District of Malawi to provide teacher workshops on arts integration. I collaborated with Sweetland School (in Hope) founder and director Lindsay Pinchbeck to work with 12 teachers from Mpamila, Pondani and Katete Primary Schools. The teachers that we had the privilege to work with were AMAZING in more ways than one. Teachers are paid $85.00 per month and are assigned schools when they finish their teacher training program. They can be moved to another school at any time without warning. The school has no power or running water, some classrooms have no chairs or desks. The grades are called standards and the primary schools each have standards 1 through 8. At the Mpamila School in Jane’s class she had 116 students. On paper the class sizes ranged from 17 to 131. (Did I mention that the teachers we met were amazing?). The lower standards have the largest numbers. As the students grow many drop out for a variety of reasons. It was the last two weeks of the school year (and winter) while we were there and the students were taking their exams. How well they do on exams determines whether they move on to the next standard. Each morning we had the opportunity to visit the Mpamila School and classrooms. As the students arrived they were outside playing – we saw some jumping rope with vines and others playing Chinese jump rope. The teachers were meeting to do the kinds of things we might find happening across America – collecting papers and preparing for their teaching day. They shared some of the exams with us and we were able to view the test questions that we used later on as part of the instruction in the teacher workshops. The school day officially starts at 8:30 but we found the classes didn’t necessarily start on time and students wandered in after the lesson started. Many children were looking in the windows or outside playing while lessons occurred. The teacher training is based on the British educational system. We watched while the teachers instructed the learners to repeat after them in speaking voices and/or singing voices. They used their bodies to emphasize or demonstrate an idea and the students repeated. Clapping was frequently used to engage and celebrate the learners successes. Two of the teachers had young babies that they carried on their backs or fronts. They taught with them, brought them to the workshops and periodically during the workshops would have a young girl watch after the child. In the teachers room preparing for the exams. We found that using a theme each day launched the ideas and combined feelings with art making, thinking with creativity. And, it helped launch the environment to a place of trusting one another. I was surprised by the teachers willingness to take risks with us so quickly – strangers from America. Head teacher Mirium with her baby. We tried to scaffold their learning from day to day and the daily themes assisted in that. Their willingness and desire to learn was powerful. More importantly, the arts were the vehicle for each of them no matter what their past experiences were with the arts. Opening Circle – sharing inspiration, checking in and sharing new ideas and questions through books and stories. Introducing the theme for the day. Experiential Learning – sharing new skills and materials. Drawing, painting, poetry bookmaking, drama and storytelling activities, printmaking, felting, photography, and more. Journaling/Share – Daily time for reflection to consider how activities can be applied to the classroom. Individual and group work. Projects – Quilt focus and individual action plans. Closing circle – Traditions of song, take aways, 3 happy moments and a question. During the project time the teachers were learning different techniques that they made onto a 6″ X 6″ piece of fabric. The pieces were sewn together in banner or quilt-like form. For example, the day the teachers learned how to felt they actually felted a fabric square that became part of their quilts/banners. On the day they made cyanotypes they did an individual square with their hands and collaborated with secondary students to make a full size sheet one. What a great way to integrate science and visual art. The teachers arrived at noon each day for lunch and at 1:00 we started the workshop. We were amazed at how quickly the teachers jumped in without hesitation. The art making was the vehicle to their comfort level. Some of the teachers didn’t know each other beforehand yet that was not evident as they sat side by side and created. Depicting what a wall means to the teachers or their students. Five o’clock came quickly each day and before we knew it the end was near and each teacher was hanging their quilt for the critique. On the last day they set up a display of all of the artwork they created. We had a community celebration with the local chiefs, Go! Malawi community committee, students, and the teachers. Afterwards the participants were invited to visit the gazebo to see the art. It was a goose bump experience as I watched the teachers faces filled with pride as they shared their work with the community. Creating tableaus with sentences from their exams. A couple days into the workshops one of the teachers pulled me aside and gently informed me of a Malawian custom and suggested that I adopt it. He said: “When someone is leaving you are to walk and talk with them.” At first I thought he was joking but I quickly learned that it was an important custom. Each day following, we made sure that we walked and talked with them and before we knew it the 10 day workshop was over and we were waving so long to our new friends! How fortunate I was to have this unique opportunity. The Malawian people often use sayings. One of them is: Ulendo ungatalike bwanji umayamba ndi phawzi limodzi – Every journey starts with a step. I am so glad to have taken the step. I learned much more from the people with huge hearts than I was able to share. Each of them provides the hope for all children in their country. We’re hoping that the work Lindsay and I started this summer will continue from a distance by sending packages of materials and supplies. If you’d like to contribute arts supplies, pencils, pens, books or other items please email me at argy.nestor@maine.gov. And, Lindsay and I hope that some of you reading this blog post, who are teachers or teaching artists, will consider a trip next summer to continue the work. If not an educator there is other volunteer work you can engage in. Please email me if you might be interested. Gallery walk to provide feedback on each others artwork. I just returned from an 18-day trip to Malawi. I traveled to Africa with the Go! Malawi program where I collaborated with Maine educator Lindsay Pinchbeck to work with 12 teachers from Mpamilia, Pondani and, Katete Primary Schools incorporating arts education into their curriculum. Lindsay is the founder and director of Sweetland School in Hope – an arts integration school for learners, grades K-5. The founder of Go! Malawi, Janet Littlefield, is a former student of mine who went to Malawi in the 1980’s while in the Peace Corps. My experience was amazing and we learned much more than the teachers we were working with did. As many said to me before I left – this experience could change your life. Not only do I return a slightly difference person but with a new perspective on the day to day life that I live here in America. In a series of blog posts I will do my best to tell the story of those we met – teachers, children, Go! Malawi staff, and about the environment. We were in a location that felt like the top of the world. I watched the sunrise each morning from the front porch of the building we slept in called “the castle”. It was an amazing site and several times I could see the curvature of the globe. Along with Lindsay there were three other volunteers and Janet’s husband Bill. One volunteer was a 15-year old Hebron Academy student from China named Jasmine. She is an incredible photographer and is documenting some stories and photos of the Ntchisi HIV committee members. Laurie, a therapist from western Maine found joy in reading to young children and hopes to help establish a library. Meredith, a history teacher from Hebron Academy connected with teenagers while doing a photography project with them. They all made an important difference! Between Lindsay and I we took over 3000 photos. I will include some in the blog posts since the images alone tell a story. The landscape (including the sky at all times of the day) and people are beautiful to capture – I hope you will be able to gather that from the images. It is winter in Malawi and we were there during the last two weeks of school. The work that Lindsay and I started in the workshop with teachers will continue from a distance by sending packages every other month and in other ways. If you’d like to contribute arts supplies, books or other items please email me at argy.nestor@maine.gov. Their classrooms have virtually no supplies or materials so anything you can send would be appreciated. As you unwrap your new materials when back at school or studio please consider contributing older ones. Thank you! 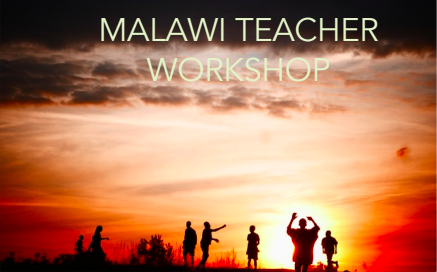 If you are interested in traveling to Malawi to work with teachers, perhaps next summer, please email me. It is a wonderful opportunity! Randy Fein just completed a clay mural with 187 fifth graders at the Harriet Beecher Stowe Elementary School entitled “Exploration”. The mural was unveiled as part of the school’s Science Discovery Night. Each student created a 6 inch tile that became part of the mural which has become a permanent artwork in the school. Fein is on the Maine Arts Commission Teaching Artist roster located at THIS LINK. She said she is a life long amateur astronomer inspired by her Dad. Read the entire article describing the work in the Times Record at THIS LINK.